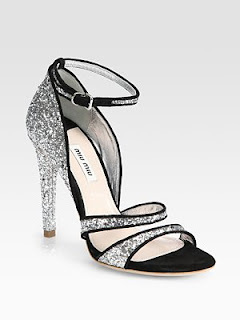 Miu Miu glitter and suede sandals retailed for $730 at Saks, but are sold out online. If you like these Miu Miu's but looking for a budget friendly alternative, check out these less expensive sandals for $99 by Guess. Click on the image below if you're interested in purchasing.